Fun game to find the differences of the Yogi 3D Bear movie. Interact with the mouse and press the left button where you think the difference is. There are six differences in each level, so you should be very careful to find them all in the least time possible. Also, you have to bear in mind that the images are in mirror mode, that is, they are not exact copies but rather they are as if they were reflected. In the first level, for example, the name of the poster of the sheriff' s table in one looks good and in the other upside down and this does not count as a difference. Do not click like crazy or you will lose part of your accumulated score. 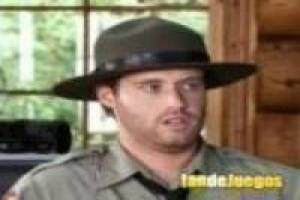 Find the differences in these frames of the Yogi Bear movie. 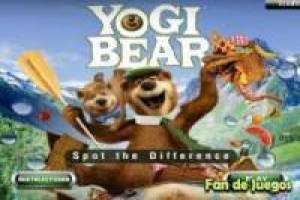 Enjoy the game Yogi Bear: Find Differences, it's free, it's one of our differences games we've selected.